As you’re going through your Facebook feed, a sad but sweet face of a mixed-breed dog looking for a new home catches your eye. You read his rescue story about how he survived being hit by a car and a good Samaritan turned him into the local animal shelter, then a local dog rescue took him under their care to help him find his forever home. You are totally smitten by his story and he seems like such a great dog to add to your current home (husband, 2 kids, 7-year-old golden retriever). You eagerly email the contact of the local rescue, explaining how you want to adopt him and make him a family member. To your surprise, the dog rescue coordinator explains that you first need to fill out an application for consideration. What? This dog needs a home, so why won’t the dog rescue group adopt him to your family? Don’t they trust that you would make a good home for him? Does that scenario sound familiar to you? Maybe you have tried to adopt a pet, only to find out the pet went to a different adoptive home. Or maybe, like me, you are actively involved with animal rescue and you have to explain to people on a regular basis about the pet adoption process of the rescue group you are volunteering for. I’m here to help explain why some of these adoption rules, policies and adoption fees are important, and why some rescue groups may seem strict. First, just a little background on my background for those who are new to Raising Your Pets Naturally with Tonya Wilhelm. I’ve been in the pet profession full time for two decades. My first role was working at an animal shelter caring for the dogs and cats that came into the shelter. After my stint at the animal shelter, I worked with an organization training rescued dogs to become service dogs. After five years, I transitioned to teaching pet parents how to train their dogs for both basic manners and behavioral issues. I also found myself taking a part-time role at an animal shelter for a year in the intake and euthanasia department. Some years ago, I was the Ohio coordinator for Cavalier Rescue USA for a few years. I ran the intake of Cavaliers coming into the program for Ohio, foster families and the Ohio adoptions. So, I’ve been in the thick of things for many years, and have played many roles in various aspects of pet adoption. Let’s take a look at some of the more common rules and guidelines for adopting a pet from a local animal shelter or pet rescue. Application: Most, if not all, pet rescue groups require a potential adopter to fill out an adoption application. This can be as simple as contact information, to more in-depth, asking about your home, yard, other pets, activities, and work schedule. For some, this may feel like an invasion of privacy, but for me as an adoption matchmaker, it is THE key to helping make the best match possible. Maybe your home life is active and busy and you are looking for a dog or cat that would be a good fit and accompany you on your various vacations and outings. The dog you are looking at is quiet, reserved, or maybe even fearful. You feel you can “make it work” and you may be able to, but in my heart and head, this is not the perfect match. It certainly isn’t that you would make a bad dog parent, but this particular dog may not be the one for your family. When matching pets and families, I personally shoot for both the pet and adoptive family to think they have a match made in heaven. I think all parties involved deserve that feeling. Fence: Now, this is actually one that I do not always agree with. I personally don’t feel a blanket rule that potential adopters “must have a fenced yard” is appropriate for all dogs. I do feel there are some dogs that must have a fence, but this should be case by case. Here is my thought process on why I don’t feel a fence requirement should be mandatory for all dog adoptions, as long as the adopters are committed to walking the dog and not letting him run at large. I don’t have a fence. I’ve only had a fence for one year out of my dog-owning life. My dogs get at least one walk in the neighborhood every day. This is a minimum, and in addition to all their outside leash sniffing and potty breaks throughout the day. This means that I am with my dog outside and paying attention to them. They are not running in the yard alone, possibly eating something they shouldn’t, barking, or even escaping. My dogs have always had more than enough exercise on our walks, indoor ball fetching, and outdoor 50′ leash running. I have never owned a fat dog or a dog who gets so fired up seeing a leash that they race around the house like a nut. Now, don’t get me wrong—I think physical fences are a wonderful thing, and I look forward to the day I can fence my yard. But, when that day comes, I will still accompany my dog outside 100% of the time—he will never be unsupervised outside. A fence in itself is not ensuring a dog receives exercise; the dog guardian is the one to ensure the dog receives quality exercise. There may be a particular dog that needs a fence for a particular reason, but again, I feel that is a case by case situation. Apartment Living: Here is another blanket rule for some rescue groups. Some pet rescue groups will not adopt a dog or cat to a person if they live in an apartment. I understand their theory, that these people may be in flux and may decide to move to an apartment that does not allow pets, but once again, I feel this should not be a rule, but a consideration. Yes, I lived the majority of my golden retriever’s life in an apartment. As a matter of fact, we moved from Ohio to North Carolina and back to Ohio, and lived in four apartments during that time. Do you think it ever occurred to me to move to an apartment that didn’t allow large dogs? Never. That was not an option or even a consideration. I move with my family. Landlord Approval: Along the lines of adopting to someone who lives in an apartment or rental home, comes the landlord approval. I am 100% in agreement with this. 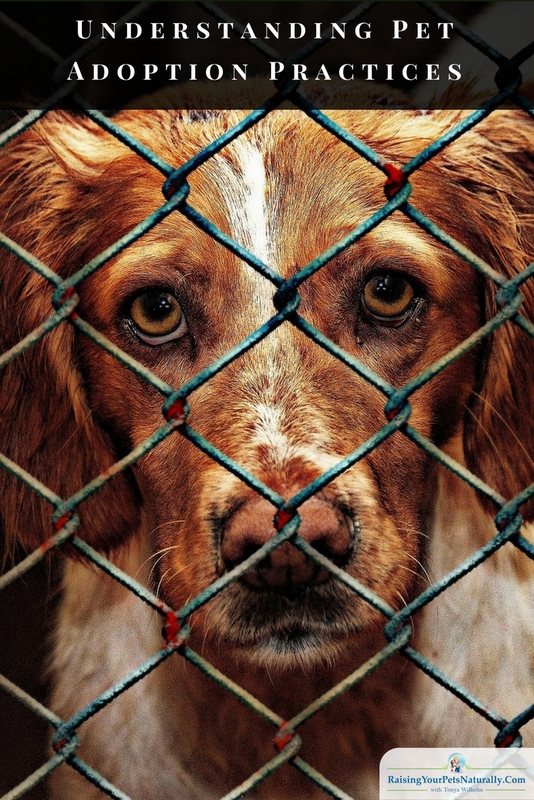 If you do not have permission to have a pet, or a particular pet, then you should not be adopting. If you truly want to adopt, then the first step would be to find a home where this is acceptable. Then, work on finding the perfect pet to bring into your family. In-Home Visit: Some rescue groups require an in-home visit. The purpose of this visit is not to discriminate against a person or their way of life, but to help make the best matches and to point out any concerns. If I am looking to adopt an adolescent dog who still has a lot of puppy habits like chewing and getting into mischief, a home that is cluttered or full of expensive antiques may be challenging for both the puppy and the owners. On the other hand, an older dog that is not looking for trouble may be a better fit. It may be an opportunity for educating the potential owners on how to properly puppy-proof the home for a successful transition. Veterinary Reference: The veterinary care you provided to your past pets is an indicator of the care you can and will provide for future pets. This is not to be confused with yearly vaccinations, but at least a yearly examination with your veterinarian shows that your current or past pets were under the regular care of a professional. Your pet’s vet records will also show if your veterinarian recommended any treatments and if you followed up on those recommendations. A pet’s health care is essential to their longevity. Adoption Fees: I’m surprised people think they should be able to adopt a pet for a little fee or no fee at all. Wouldn’t it be nice if running a good animal shelter or pet rescue was free? Or if all the pets in rescue were vetted for free? Unfortunately, that is not the case. Sure, rescue groups and shelters receive donations and tax breaks, but this usually does not come even close to meeting their expenses. I know when I was the coordinator for the Ohio chapter of Cavalier Rescue USA, it was not uncommon for a dog to incur $600 or more of veterinary care. The dogs that came into our program were usually in poor health; extreme dental or skin conditions were common, and dogs often needed to see a heart specialist (MVD is common in the breed). The bottom line is that most pet adoption centers only want to make the best matches for both the pet AND the new family. Sure, there are some groups or people that take advantage of the guidelines or seem holier than others, but this is not the norm, nor is this the intention of the adoption guidelines. Everyone involved keeps in mind the best interests of both the pets and the potential adopters. The goal is to find the perfect home and make the best match possible. Please remember that rescue groups and shelters see the worst of the worst, and only want to make good choices. The lives of these pets are in their hands and they are doing the best that they can with the tools they are given. If you’ve had a bad experience with a pet rescue group or animal shelter, please give them or another one a second chance. Don’t we all deserve second chances? Have you adopted a pet? Tell me in the comments. Thanks for such an informative post. I disagree 100% with the ridiculous blanket rule of needed a fenced in yard because you can adopt a dog. Ridiculous!! So many incredible pet parents are denied adopting simply because of that, and many shelters won’t budge. You can argue about how you’ll walk your dog regularly, you won’t just leave them in the yard the way so many do, the love and kindness and care you’ll show but they’d rather kill the dog. Sorry but you hit a nerve with this topic. I speak from personal experience when I say shelter staff need to judge the potential adopter on a number of criteria, otherwise too many animals will end up with no home at all. Rant over!! I love your passion. I agree. No fence in this home. Unfortunately, one of the shelters I worked at actually didn’t have any process. Pay the $50, take the pet home, bring it back, someone else adopts it out, repeat. We have to find a middle ground. I adopted/rescued both (all) my cats. I remember once we had decided to make the addition of another cat into our family we went to a local shelter. After seeing “the one” we were brought into a room and interviewed before they would allow me to adopt this kitty. I was truly nervous! But I completely understand the reasoning behind all the questions and we went home with our kitty and he’s now 12yrs old! I also believe that not everything is black and white when it comes to the “right match”, just because someone has answered all the questions correctly does not make them the best fit, sometimes we have to go with our gut feelings. Absolutely! I know when I received adoption applications, the next step was I called them and chatted. Then, I talked with the foster family. Then the foster family called the application. Lots of conversations to get a better feeling and to talk about the dog’s personality and the adopter’s goals and lifestyle. This is an important post. I’ve heard from a number of folks eager to adopt who ran into roadblocks with some of the “blanket” rules. While I agree that it’s important to have guidelines so the adoption is permanent…flexibility and common sense should be built in. As a foster and volunteer with multiple different rescues over the years, as well as an adoptive parent, I understand both viewpoints on the adoption process (and fostering applications too). It’s a fine line that rescues need to walk to do their best to both ensure the safety and well-being of the pet and not knit-pick TOO much and scare off good adopters. I know a lot of great potential adopters who have bought dogs after being turned down from too many rescues, but I also know too many dogs who have ended up in less than perfect homes because the rescue was trying to play it safe. Most of the criteria I totally agree with. The whole point is to ensure that the family is a good fit for the dog and vice versa. Energy level, work schedules, dog knowledge and experience, showing a track record of properly caring for other animals… it’s all super important. I’m with you on the fenced yard thing. I think it should be PREFERRED but not a hard line. If the PA is a runner, a hiker, is very active and home a lot, they shouldn’t need a fenced yard. Same with apartment living. I also know that a lot of people are against home visits, but I find that they are really important. It gives the foster and the rescue a bit of reassurance that they’re making the right choice and it also is just one more interaction that the owners get with the dog to make sure it’s the right fit. Our old rescue used this as an opportunity to make sure that the new dog got along well enough with any existing pets as well. That was long, sorry. Great post. I have been involved in all aspects of rescue for over 10 years and I have to say, some have rules that truly make adopting to the right family that will LOVE the pet impossible. Some are just so controlling that I can understand why some people get turned off to rescue. I’ve met lots of great people in rescue, but also some really nasty control-freaks who truly do NOT have the animal’s best interest in mind. Kudos to all of the wonderful rescues! Thanks. Yes, always bad apples. It’s a shame. Thank you for the clarification on important adoption questions. While it can seem like too much detail to the potential adopter, if they are uncomfortable taking the time to fill out the information in detail and find the right fit with an animal, then it is probably best they move on. An animal should only go to a home that has been vetted and fits the personality of the family. I’ve had spot checks, in home visits, and had to give references. And I’m okay with that. 🙂 I agree. There’s a lot to consider when matching up families. 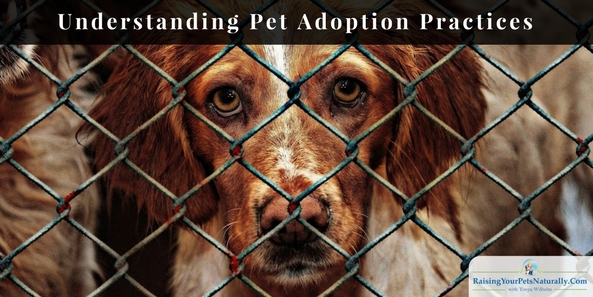 This post is jam packed with info that potential adopters need to know. I had a waiting period when I adopted Lexy, and I was so afraid I wasn’t going to get her. It all worked out in the end. Thanks. Yes, waiting period. Forgot that one. There is a LOT of valuable information here, and I hope it helps potential adopters realise why questions are asked, and why the procedure might seem formal or rigorous. Lives are at stake and so is the quality of those lives. Absolutely! Everyone wants everyone involved to be happy and healthy. I completely agree that a fence and a yard are best, but should not be a requirement. If the people are active and will take the dog on lots of walks, a loving home should be enough. Thanks. I totally agree. We’ve been fenceless Dexter’s entire life and I think he gets lots of great exercise and entertainment. I agree #2 is weird. I mean we live on the 9th floor of an magnificent condo across from a HUGE park. And …my little man is 3.5 pounds! or what is it’s a senior who just needs to sleep and snuggle for the most part? that is … odd. About 7 years ago one of my friends tried to adopt a dog, but was turned away because of the fence rule, and ended up buying a puppy from a breeder. When we were interested in Theo, we were told that after we completed the adoption form, we would have to wait a few days to be approved. We took a night to think about it, and then filled out the application. He came home with us that afternoon, and they knocked the adoption fee down from $90 to $40. I joked that we got a lemon, but he’s pure gold! That’s so sad that your friend wasn’t approved just because of a fence. Lemon, no way! You hit the jackpot! I have 3 acres and a fence, but was turned down by a rescue for not having a high enough fence. 🙁 I know however, that it can be hard for them to make exceptions and dig deeper when there is such a shortage of resources. Luckily since, I have adopted two from another rescue and they are amazing! So glad you were able to get two others! An excellent informative post! When I adopted Dolly I learned real fast what shelters were looking for. We had to provide a mortgage statement that proved we owned our home! Not to mention the cost, we paid well over $200, almost $300, in CASH! It’s no wonder that buying pets on Craigslist or other questionable sources attract people that can’t pass an adoption application. I thought that’s what people paid for a pure bred dog, not. Shelters spend a lot of money making sure dogs are ready for adoption, adopting a pet with all of it’s first shots done, and healthy is worth the cost of adoption. Thanks, Dolly. Shocked about actually showing a mortgage. Wow. I have a to write article about Craigslist. Ugh, Thanks for the reminder. Oh yes. I have heard this before from other customers when I was volunteering. People think it’s wham bam thank you ma’am and it’s not so easy. The no kill adoption company I volunteered for had the same type of rules including a home inspection. People who do work for rescue organizations understand animals are first priority and what’s #1 is making sure they go to a loving, safe environment in addition to loving parents. I understand rescue organizations need to ensure pets they place will be in a safe environment. However, I do think some of their blanket rules and various regulations defeat the purpose of placing a pet in a forever home. I had a friend who grew up with dogs, but hadn’t had one recently. The organization would not let her adopt because she didn’t have a recent vet reference. She was so discouraged because she wanted a new fur child in her life and she tried to adopt through a rescue but kept hitting brick walls. Thanks. I appreciate that. Exactly, we are talking about current family dynamics and new family dynamics. You want to make sure it’s a match. This is such great information, Tonya! I volunteered for a county shelter whose adoption rules were very lax. They required very little of adopters which always drove me nuts. I wish there was more of a standard around vetting potential adopters. Currently, some organizations are ridiculously strict while others will adopt to almost anyone. I don’t agree with a fenced yard rule either, that’s ridiculous. However, I did have potential adopters of a Husky and being a Husky owner I asked about their fence and how high it was. I cringed when they said it was only 4 feet tall. Any Husky worth his weight in salt could sail over a 4 ft fence in a heartbeat. I really liked the couple, I thought they’d be great dog owners. I strongly urged them to microchip the dog and explained how Huskies are great escape artists that love to run & jump over fences! In a county shelter, you really can’t deny a person for very much. Basically, a roof over their head & ability to buy food & that’s it! Thanks, Cathy. I appreciate your comments. Yes, we need to look at each individual pet and family. When I trained service dogs, we had 6′ fences all around the property. One of the labs that came into the program would literally just leap and land on the top of the fence and hop over! I think she was part cat! What a great summary explaining the adoption process. I have adopted dogs and been adopted by stray kittens. I was surprised by the in depth application and the home visit with Kilo the Pug but his rescue wanted the best. Also for Sydney fostering Xavi recently, the reference checks were very detailed. Friends of mine were devastated that they were not allowed to adopt a golden retriever recently because they did not have a fenced yard (they did have an acre of beautiful land to run in).